“The cerebral cortex, or grey matter, is the brain’s computer processor. 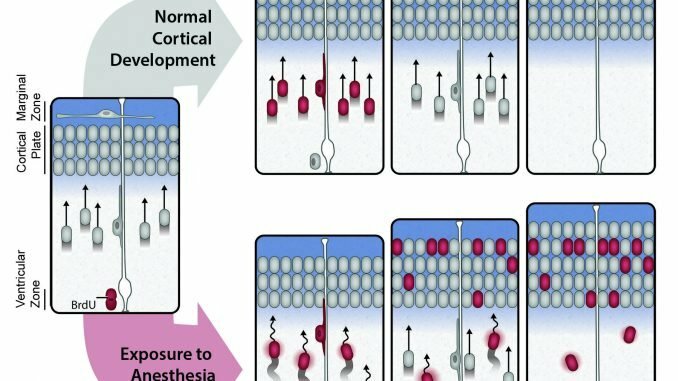 Cognitive processes like thinking, memory, and language are directed there, thus neurons never reaching their proper and predetermined positions in the cortex may have a profound impact on brain function” said the study’s lead author, anesthesiologist and neuroscientist Dr. Vicko Gluncic,MD, Ph.D. Dr. Gluncic conducted the research at Rush and now practices at Advocate Illinois Masonic Medical Center. To test that hypothesis, researchers marked migrating neurons in rat fetuses with a dye and then anesthetized one group of pregnant rats during the precise period when neuronal migration occurs is its most active. That gestation period roughly corresponds to the late second trimester in humans—when motoric areas of the brain are already well developed while somatosensory and visual cortex is still developing. A control group was not anesthetized. 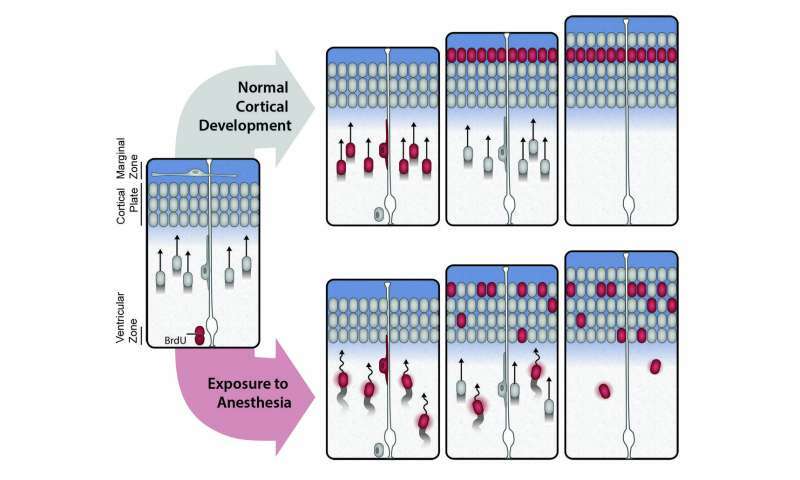 Examinations of the rats exposed to anesthetics showed that significant number of neurons remained inappropriately scattered in deeper layers of cortex, and the longer the rats were exposed to prenatal anesthesia, the more scattered their neurons. A second set of behavioral experiments showed that all the littermates had consistent motor skills, but those exposed to anesthetics had significant behavioral and learnings deficits.